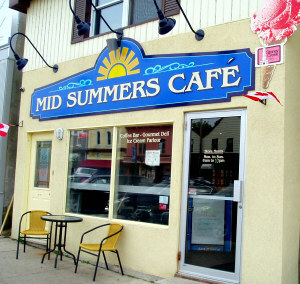 Depending on where your cottage is there may not be too many cottage country restaurants from which to choose. Sometimes that isn't a big deal. Our family used to go out of our way to stop at Rocky Racoons in Dyers Bay each summer as my kids were growing up and it was the only restaurant in town. Is there a restaurant you would go out of your way in Cottage Country to eat at? Tell us about it! In our area of cottage country eating out is definitely an option. Saugeen Shoes has plenty of selection between the two cottage towns of Southampton and Port Elgin. My two favourites in Southampton are The Elk & Finch, which has a great back porch and a good range of choice for lunch or dinner and Armen's which has quite a following for breakfast and lunch. Plus for the past 2 years has started doing International dinners Wednesday to Saturday with great success. If you like fish Duffy's, Walker House and The Elk & Finch are all great options in Southampton. 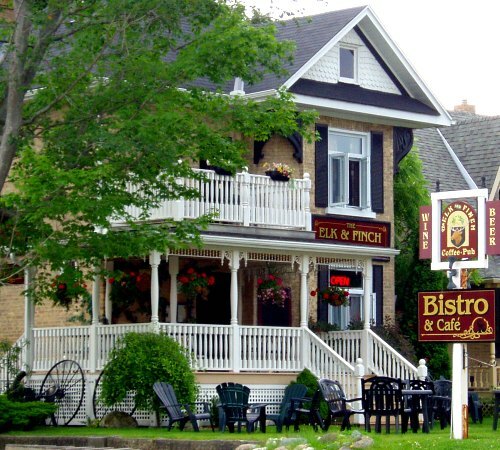 Lord Elgin has great Halibut & Chips in Port Elgin. Port Elgin has more true pub food than Southampton, try the Queen's for pub favourites like chicken fingers and mozza sticks plus they have a great back patio. Want to grab a bite on the beach? For beach fries and burgers Gerry's is it in Southampton. 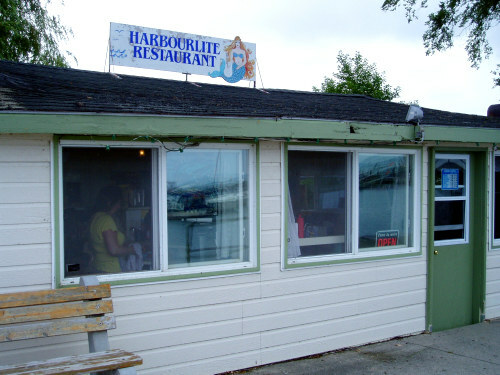 For a change try breakfast at the Harbour Lights right at the harbour in PortElgin. 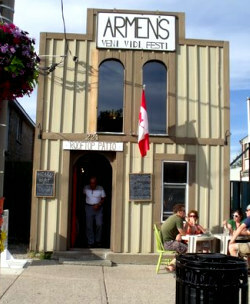 For fine dining try Andre's swiss dining or Rosina's Italian both great!! For golfers (and the public) Saugeen Golf and Chippewa both have restaurants with decent fare. If you are looking for baking to add some sweet to your meals try Offshore Bakery. My daughter worked at the bakery every summer through high school and recommends the fruit danish and butter tarts. Get there early as many things sell fast, especially on the weekends. What is your favourite Cottage Country Restaurant? Do you know of a tastey Cottage Country Restaurant? Share it! Return HOME from Cottage Country Restaurants.